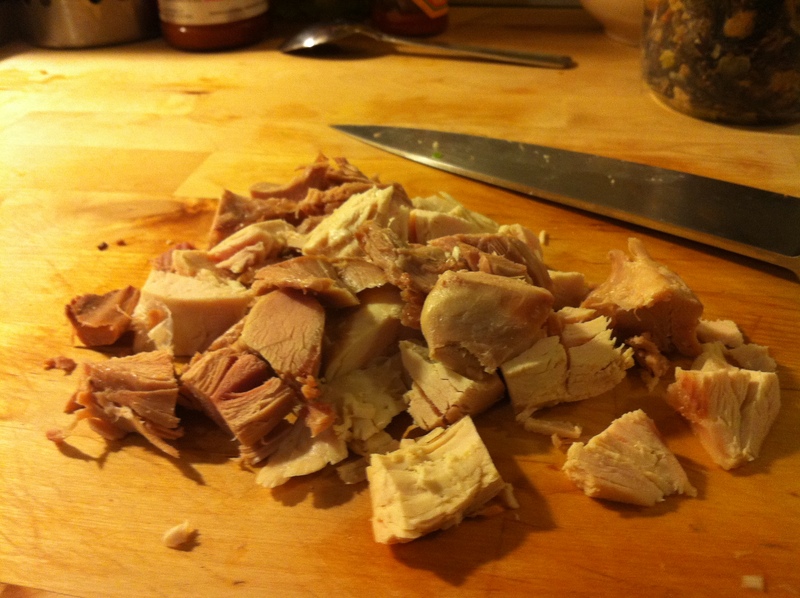 Thanksgiving is over and, like many Americans, you might be starting to wonder what you are going to do with all those leftovers. We, unlike most Americans, bypassed the turkey noodle soup and went directly to nachos. And really, it couldn’t have been a better choice. 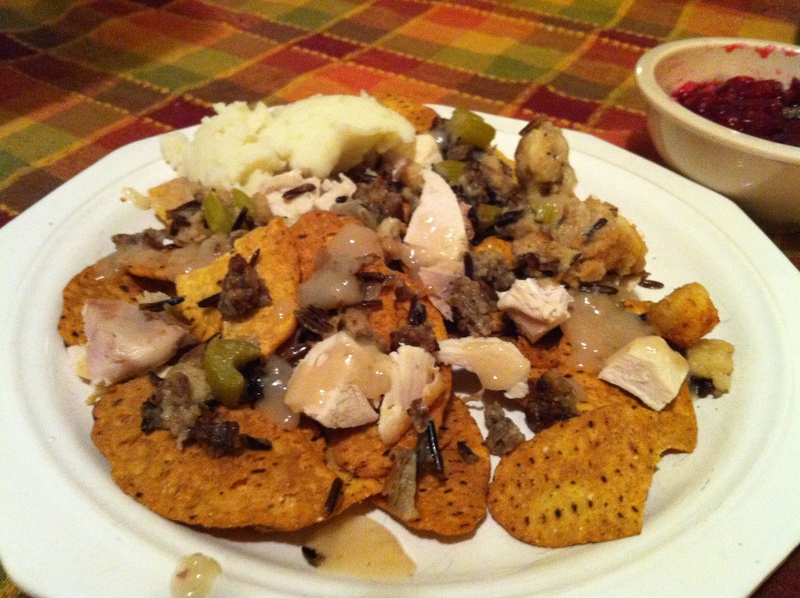 With a bag of chips and a little ingenuity, the old turkey day standards transformed into some novel nachos. First step: what kind of chips to use? We considered both pita chips and sweet potato chips but found something even better in the grocery store’s natural food section: Food Should Taste Good‘s sweet potato tortilla chips. These hearty, stone-ground tortilla chips had a lovely orange color and just enough of the vegetable’s delicate sweetness to support but not overwhelm the other ingredients. 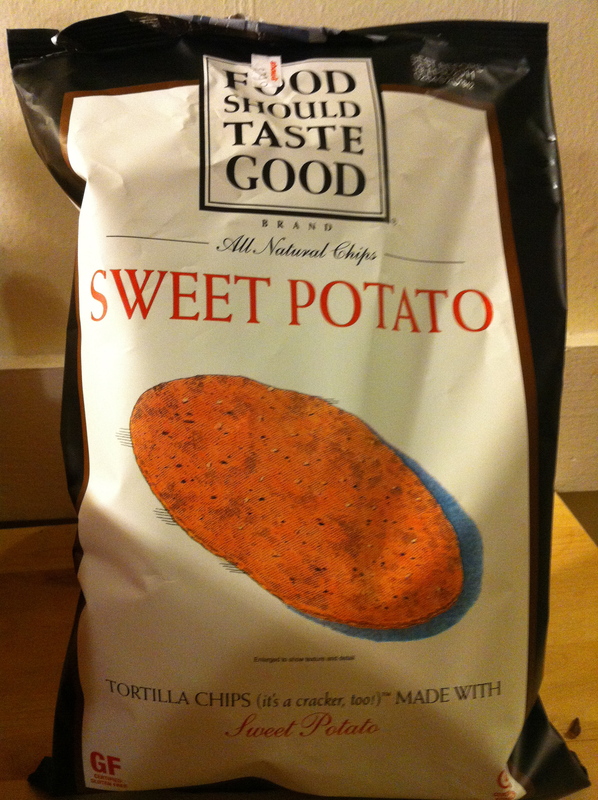 And as opposed to regular sweet potato chips, they a little less deadly should you happen to eat the whole bag. The verdict? With the spicy cranberry salsa on the side, these nachos were near perfection. 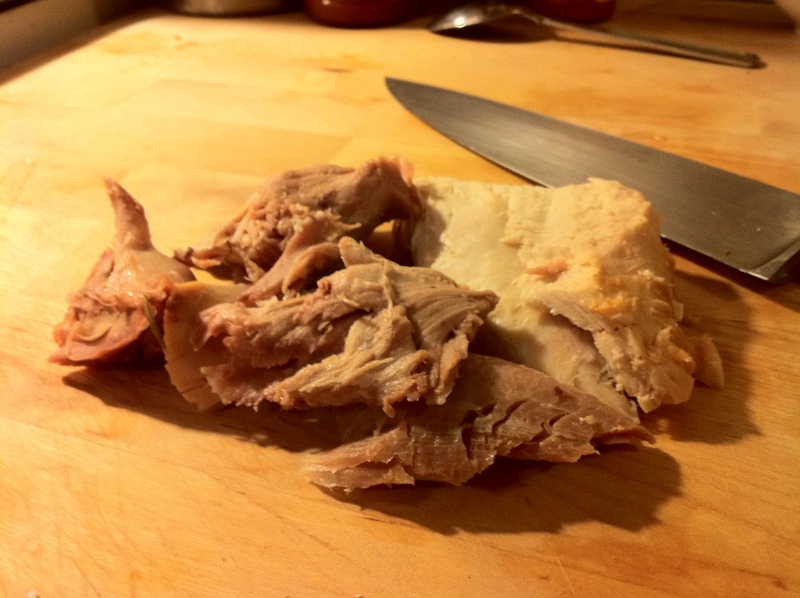 We had debated long and hard over including cheese but in the end vetoed it, since cheese has a minimal presence in a traditional Thanksgiving feast. It was the right decision– the salty gravy served as the cheese sauce on these nachos, and anything more would have overwhelmed some of the wonderful fall flavors at play. 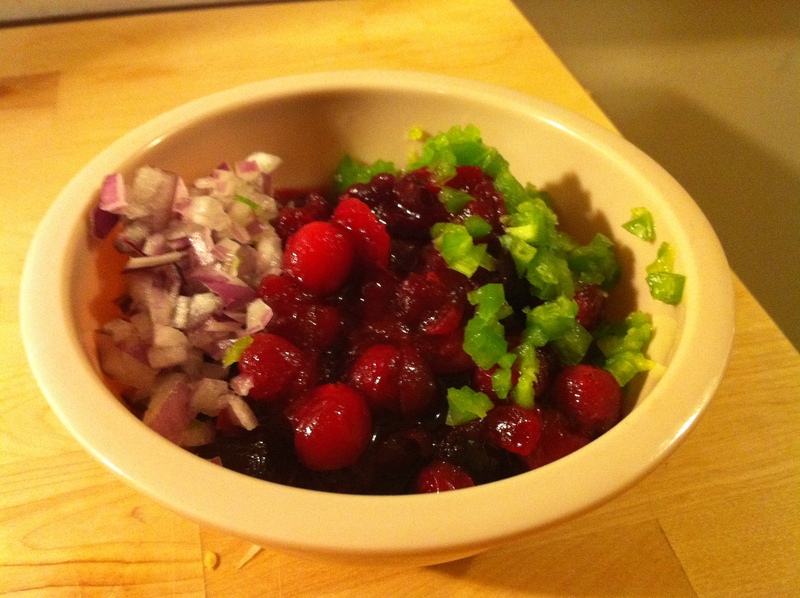 The chips were the perfect vehicle for the moist stuffing and turkey, and the cranberry salsa was good enough that we are already planning other nacho dishes around it. 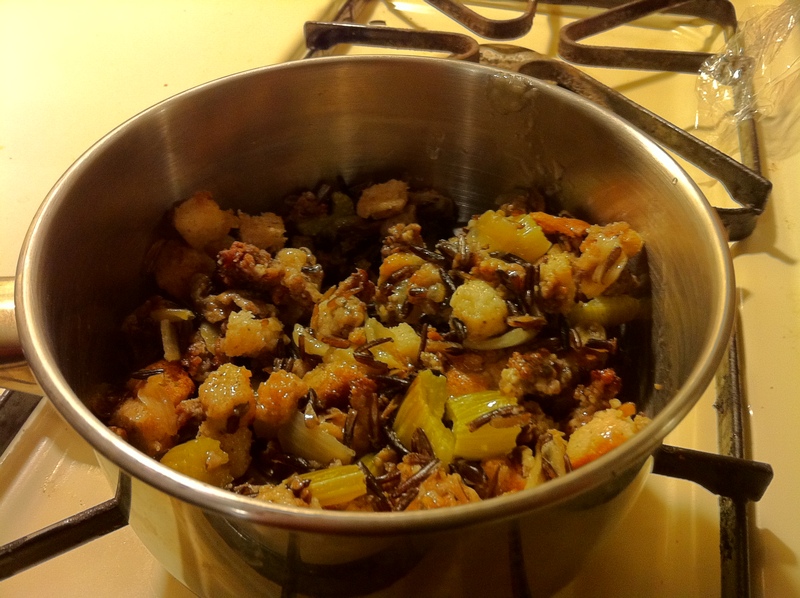 If you’re getting sick of your leftovers (and even if you aren’t) these are definitely worth a try!